ZPower, the world’s only developer of rechargeable, silver-zinc microbatteries, has been invited to participate in the NASA Technology Day on Capitol Hill on June 15th. 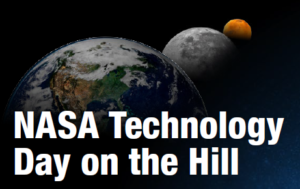 NASA Technology Day is an annual event that educates Members of Congress on NASA’s role in the development of new products, services, and technologies that stimulate the economy and contribute to America’s global competitiveness. ZPower will highlight its silver-zinc rechargeable battery technology, which has a history with NASA. Silver-zinc batteries were used in several early NASA spacecraft, including the Apollo command module. These early batteries took advantage of silver-zincs high energy density but weren’t commercially viable because of their limited rechargeability. NASA worked for years to improve this, and made some major advances, but ultimately rechargeable silver-zinc batteries did not make it into space. Today, after nearly two decades of research, ZPower has developed a proprietary silver-zinc microbattery that can be recharged hundreds of times while offering the highest energy density, safety, and environmental benefits of any other rechargeable microbattery. The impact of this breakthrough has put ZPower at the forefront of microbattery innovation and design. ZPower’s first major commercial success is with hearing aids. ZPower has collaborated with hearing aid manufacturers to bring rechargeable hearing aids to market, and beginning this year, nearly every major manufacturer will offer select products with ZPower batteries. ZPower batteries are also the source of power for a hearing related medical device being launched later this year by Medtronic, the world’s largest medical technology company. To learn more about the history of silver-zinc batteries visit https://spinoff.nasa.gov/Spinoff2017/cg_4.html. To learn more about ZPower batteries visit www.zpowerbattery.com.